You have found the nations leader in deck maintenance. Our local owner-operated locations will provide you with the greatest level of professionalism and customer service in the industry. 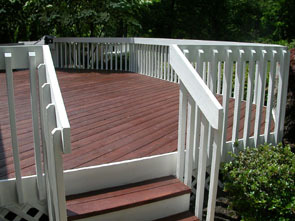 Please click on Free Estimate on the toolbar to inquire for a free estimate, or to look for your local DeckGuy, click here. We specialize in the maintenance of wooden decks through a process of environmentally responsible pressure cleaning and hand brushed coatings. Most companies do not take the time to hand brush, but to get the best job, it sometimes takes a little more work. We look forward to servicing your deck soon. 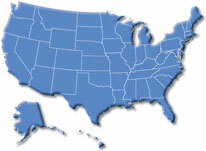 We are certified TimberTech cleaners and handle many jobs through them in the states of PA, NJ, MD, DE and VA.